Hitoshi (Paul) Fukue: Born in 1947 in Kagawa Pref. , studied at Sophia University and later went to Northwest Nazarene University in U.S.A. There he met the Lord Jesus Christ and became His follower. Paul began studying the Bible and continued his study at Nazarene Theological Seminary in Kansas City, Mo. After he finished his Master of Divinity, he came back to Japan and began pioneering a church in his hometown, Kochi City. He and his wife established Kochi Kaganoi Chrisitan Church in 1978. They also built church sanctuary and pasonage at the present location. Paul then continued his theological studies at Boston University in Massachussetts and completed his Doctor of Theology degree. He came back again to his original church in Kochi and pastored the church for some more time. 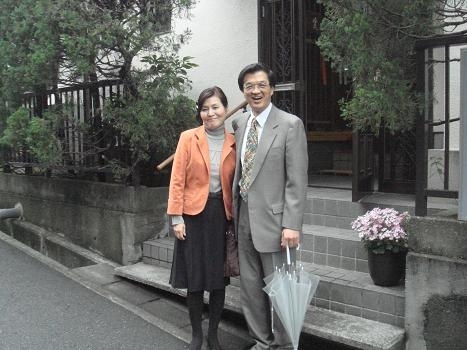 Paul Fukue was called to be a pastor of a large church in Tokyo and Chiba from 1994 until 2001. He was then called to teach at Asia-Pacific Nazarene Thelogical Seminary in Manila, Philippines. He later served there as president of the seminary until 2007. He and his wife, Mitusko, came back again to Kochi Kaganoi Christian Church and are serving the congregation at present time. Mitsuko Fukue: Born in 1948 in Kagawa Pref., studied at Shikoku Christian University, later went to Northwest Nazarene University and studied together with Paul Fukue there. They got married and went to Kansas City, Mo. for her to study at Mid-America Nazarene University. She graduated from the university with Bachelor of Arts in English. 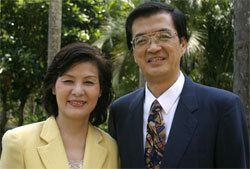 She came back to Japan with her husband and built Kochi Kaganoi Christian Church together. She later studied at Boston Univeristy in School of Education. She majored in Bilingual Education and Cross Cultural Studies. She finished her Master of Arts with honor. She then studied at International Christian University in Tokyo in the field of Cross Cultural Studies in Ph.D. program. She then taught at various universities as part time teacher, and later went to Asia-Pacific Nazarene Theological Seminary as an assistant professor. She taught Cross Cultural Understandings and Interpersonal Relationships. She is now teaching at Kochi University Medical Department and other schools as a part time professor.